We all remember our self the self-claimed Nigerian Prince Malik Ado Ibrahim who became the co-owner of the Arrows team in 1999. 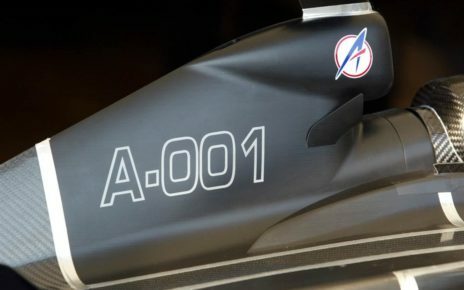 He promised the team an investment of 125million via his company T-Minus, the company’s logo was seen big on the side pods of the Arrows A20. In the end, there was no money and Malik left the Formula One via the backdoor. Leaving Arrows in a horrible situation. 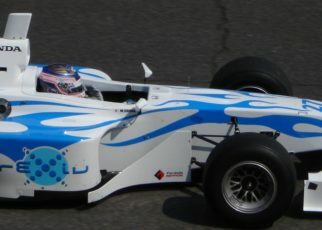 However, did you know Malik bought himself in the Arrows team to turn it into a Nigerian F1 Team? 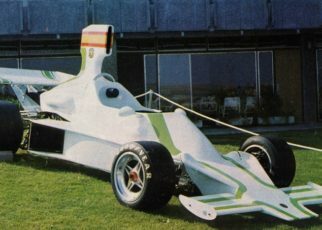 After doing some research on the Arrows team in 199 somehow, I came across some information mentioning that some Nigerian millionaire was looking to start his own Formula One team, or to take over an existing Formula One team to turn it into a Nigerian F1 Team. At first, I did not make the connection between the information and Malik. However, the more I started to investigate it, the more Malik appeared in the articles and more over in the rumours. His plan was according the rumours as described above. 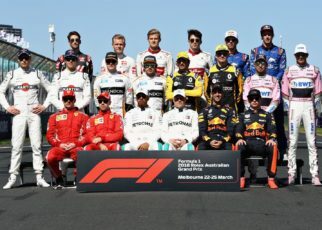 Establish a new Formula One team or take over an existing Formula One team under the Nigerian flag. Probably the team’s name would have been similar to Nigeria F1 Team. More rumours mentioned that there was already contact with Lamborghini to supply the new team with engines, obviously isn’t it? I managed to get contact details of Malik however; I have not received a letter or a call back from him. So the story is mostly based on the rumours and the information I received. I would have loved it if Malik came back to me, so he could tell and explain the story from his side. Malik Ado Ibrahim is a Nigerian prince of the Abuja Royal Family, keep in mind in Nigeria there are many, and it seems, royal families with their own land and rules. His family made a fortune in Oil, Real Estate and telecommunications. 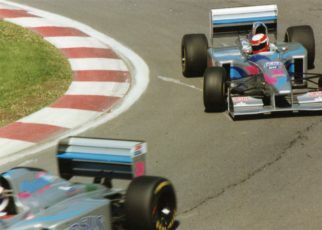 In 1999 he bought a share of 25% in the Arrows F1 Team and promised, as described, an investment of 125million dollars with his company T-Minus. To be honest I always thought T-Minus was some strange telecom company in Africa. The idea was to raise funds via the company to invest in the team, and to gain more shares in the team. Eventually to take 51% of the shares, or more, and become the new owner of the Arrows F1 Team and change it to a Nigerian F1 Team. How serious these plans where for a Nigerian F1 Team? I really do not know, yes he talked himself into the Arrows team with a fictive company that did not produce any money for the team. 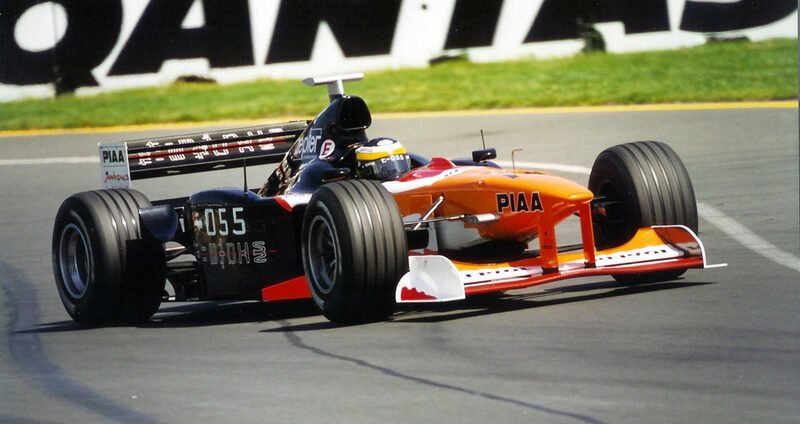 But the same year he left the Arrows F1 Team, thanks to people like Tom Walkinshaw and some amazing sponsors as Chello and Orange and their drivers Jos Verstappen and Pedro de la Rosa the team survived and actually produced an amazing car. 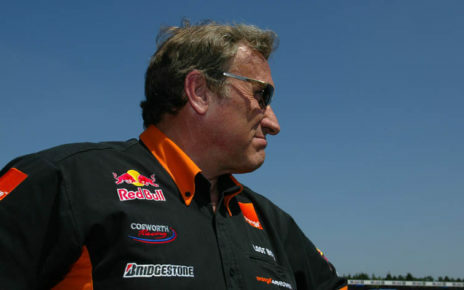 After some more research, I found out that Malik returned to the motorsport in 2005 when he told the press he was interested to enter the Nascar with a brand new team. Nigerian Nascar Team perhaps? Of course it did not happened in 2008 Malik was jailed in America, in 2010 he was jailed again this time in Texas. I stopped the investigation here because it went off topic regarding to the Nigerian F1 Team. However, I discovered that today he is the Chairman of Nigus Investments, yes again an investment vehicle, they support the LTI RE ENERGY. Supporting Green and Nuclear energy in Nigeria, promising everyone will be able to have electricity there.